Oh, my God! 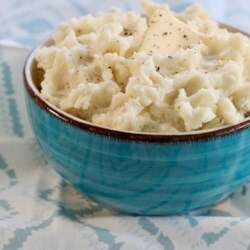 These are the best mashed potatoes that I have ever put in my mouth! I added cream cheese (half of one 8 oz pkg.) Let's just say, there are NO left-overs! Wonderful!